Organic production may still represent only a small fraction of agricultural sales in the U.S. and worldwide, but it has been growing rapidly over the last two decades. According to the latest global census of farming practices, the area of land certified as organic makes up less than 1 percent of global agricultural land -- but it has grown more than threefold since 1999, with upwards of 37 million hectares of land worldwide now under organic cultivation. The Organic Trade Association forecasts steady growth of 9 percent or more annually for organic agriculture in the foreseeable future. But despite this growth, no one expects organic agriculture to top conventional techniques any time soon. 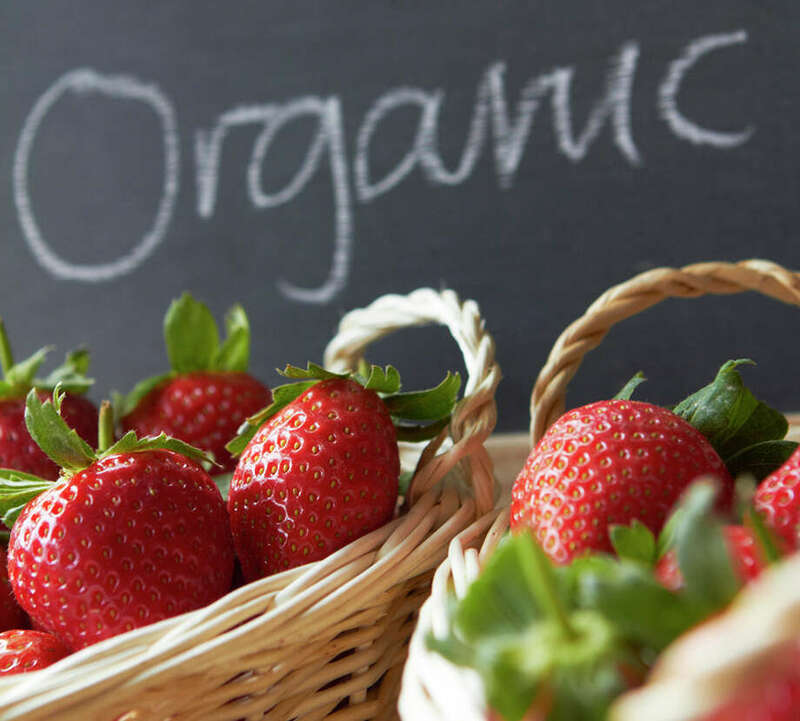 The biggest hurdle for organics is the added cost of sustainable practices. "The cost of organic food is higher than that of conventional food because the organic price tag more closely reflects the true cost of growing the food," reported the Organic Farming Research Foundation. "The intensive management and labor used in organic production are frequently (though not always) more expensive than the chemicals routinely used on conventional farms." However, there is evidence that if the indirect costs of conventional food production -- such as the impact on public health of chemicals released into our air and water -- were factored in, non-organic foods would cost the same or as much as organic foods. Other problems for organic foods include changing perceptions about just how much healthier they are than non-organics. "Many devotees of organic foods purchase them in order to avoid exposure to harmful levels of pesticides," wrote Henry I. Miller in Forbes. "But that's a poor rationale: Non-organic fruits and vegetables had more pesticide residue, to be sure, but more than 99 percent of the time the levels were below the permissible, very conservative safety limits set by regulators -- limits that are established by the Environmental Protection Agency and enforced by the Food and Drug Administration." He adds that just because a farm is organic doesn't mean the food it produces will be free of potentially toxic elements. While organic standards may preclude the use of synthetic inputs, organic farms often utilize so-called "natural" pesticides and what Miller calls "pathogen-laden animal excreta as fertilizer" that can also end up making consumers sick and have been linked to cancers and other serious illnesses (like their synthetic counterparts). Miller believes that as more consumers become aware of these problems, the percentage of the agriculture market taken up by organics will begin to shrink. Another challenge facing the organic sector is a shortage of organic raw materials such as grain, sugar and livestock feed. Without a steady supply of these basics, organic farmers can't harvest enough products to make their businesses viable. Meanwhile, competition from food marketed as "locally grown" or "natural" is also cutting into organic's slice of the overall agriculture pie. Organic agriculture is sure to keep growing for years to come. And even if the health benefits of eating organic aren't significant, the environmental advantages of organic agriculture -- which are, of course, also public health advantages -- make the practice well worth supporting. EarthTalk is by Roddy Scheer and Doug Moss of E -- The Environmental Magazine (www.emagazine.com). Send questions to earthtalk@emagazine.com. Dear EarthTalk: Why was the Colorado River named the most endangered river of 2013? -- Missy Perkins, Jenkintown, Pa.
American Rivers, a leading nonprofit dedicated to the conservation of rivers and riparian corridors across the U.S., recently unveiled its annual list of the nation's most endangered rivers. The mighty Colorado earned the No. 1 spot, thanks mostly to outdated water management practices in the face of growing demand and persistent drought. "This year's America's Most Endangered Rivers report underscores the problems that arise for communities and the environment when we drain too much water out of rivers," said American Rivers' president Bob Irvin. "The Colorado River ... is so over-tapped that it dries up to a trickle before reaching the sea." Indeed, 36 million of us drink water from the Colorado. The river responsible for cutting the Grand Canyon irrigates nearly 4 million acres of farmland where some 15 percent of the nation's crops are grown. But according to American Rivers, over-allocation and drought have placed significant stress on water supplies and river health -- and another summer drought is on the way. A 2013 study by the federal Bureau of Reclamation finds that there isn't enough water in the Colorado to meet current demands and that the flow will be as much as 30 percent less by 2050 due to climate change. That reduced flow threatens not only endangered fish and wildlife but also the river system's $26 billion recreation economy. "We simply cannot continue with status quo water management," Irvin said. "It is time for stakeholders across the Colorado Basin to come together around solutions to ensure reliable water supplies and a healthy river for future generations." American Rivers has gathered dozens of community groups and other partners together to urge Congress to allot significant funds for river clean-up, state-of-the-art water conservation techniques in cities and on farms, and water sharing mechanisms that allow communities to adapt to warmer temperatures and more erratic precipitation as global warming takes effect. Individuals can do their part by conserving water and spreading the word among friends and neighbors. Another way to help is to send a letter to Congress via American Rivers' website outlining why instituting better water management practices up and down the Colorado is important to all Americans. Meanwhile, National Geographic's Change the Course campaign challenges everyday Americans to pledge to shrink their "water footprint." For every pledge received, corporate sponsors donate funds that partnering organizations then use for ecological restoration and other projects that return water to the river. The Colorado is far from the only U.S. river in trouble. The runner-up on American Rivers' 2013 list is Georgia's Flint River, where excessive agricultural and municipal demands are taking too much water out. The story is similar for several other rivers on the list: Texas' San Saba; Wisconsin's Little Plover; and the Catawba in North and South Carolina. "The annual America's Most Endangered Rivers report is a list of rivers at a crossroads, where key decisions in the coming months will determine the rivers' fates," reported the group. "Over the years, the report has helped spur many successes including the removal of outdated dams, the protection of rivers with Wild and Scenic designations, and the prevention of harmful development and pollution." The group hopes that all the attention it is showering on the Colorado this year will help turn it into another American conservation success story. Contacts: American Rivers, www.americanrivers.org; Change the Course, www.changethecourse.us.